Chateau Doisy Vedrines was once part of the vast Doisy estate which also included Chateau Doisy Daene and Chateau Doisy Dubroca. The original property, founded in 1704 was divided into three parts in 1851. Of the three estates, with its 27 hectares of planted vines, it’s the largest of the Doisy estates. The property takes its name from one of its early owners, the Vedrines family, who sold the vineyard just prior to the 1855 Classification. Today, the vineyard is owned by the well known Casteja family, who own numerous estates in the Right Bank including; Chateau Trotte Vieille in St. Emilion, Domaine de L’Eglise and La Croix du Casse in Pomerol. 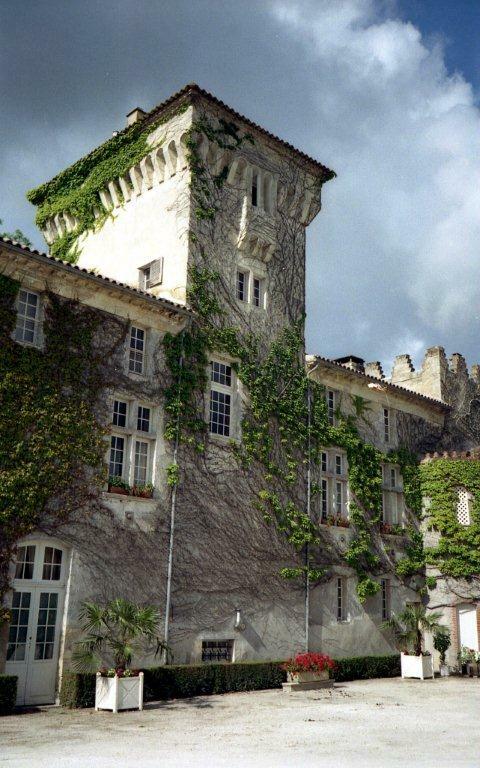 In the Medoc, they own Chateau Batailley in Pauillac as well as a massive negociant company, Borie-Manoux. Interestingly, while Doisy Vedrines is located in Barsac, they use the Sauternes appellation on their label, which is allowed under AOC appellation regulations. The other two Doisy estates prefer to include Barsac on their label. The 30 hectare vineyard of Chateau Doisy Vedrines has 27 hectares under vine. The vineyard is planted to 80% Semillon, 15% Sauvignon Blanc and 5% Muscadelle. Although there are a few Sauvignon Gris vines still remaining in the vineyard as well. On average, the vines are 30 years of age. The vines are planted to a vineyard density of 6,500 vines per hectare. The terroir is a mix of limestone, sand and clay with iron soils. Over the years, since being purchased by the Casteja family. There recent addition was with the purchase of 6 hectares of vines. To produce the wine of Chateau Doisy Vedrines, vinification takes place in a combination of tank and French oak barrels. Fermentation starts in tanks, but is transferred and finished in French oak barrels. The wine is aged in 60% new, French oak barrels for an average of 18 months. 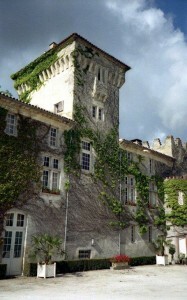 Located close to Chateau Climens, the large estate produces an average of close to 5,000 cases of Doisy Vedrines per year. There is a second wine, Le Petit Vedrines. They also make a dry, white Bordeaux wine, Chevalier de Vedrines. Chateau Doisy Vedrines can be enjoyed on the young side with no decanting. In fact, it is delicious and quite a treat young, even on release! However, like all great wines, Chateau Doisy Vedrines is much better with age, and does not reach full maturity until it’s at least 8-12 years of age, or in some years, perhaps even longer in the best vintages. But that is unrealistic for 99% of the world’s wine drinkers. So, enjoy it at any special occasion that calls for it. Chateau Doisy Vedrines is best served at 14 degrees Celsius, 57 degrees Fahrenheit. The cool, almost cellar temperature gives the wine more freshness and lift. The wine will naturally warm in the glass, while it develops more aromatic complexities and fleshes out. Chateau Doisy Vedrines can be served with seafood dishes, especially shellfish, lobster, crab and oysters on the half shell. Foie gras is a perfect pairing with its natural sweet, salty and savory characteristics. Chateau Doisy Vedrines can also be paired with roasted chicken, veal and pork dishes that are either spicy, or prepared with a touch of sweetness. Spicy Asian cuisine, raw fish, like sushi or sashimi, and cheese, both hard and soft also make great pairings with Chateau Vedrines. Luscious, sweet, ripe and overripe tropical fruit, candied orange and dried apricot all coated with honey and a touch of marzipan. There is good weight and enough racy acidity keeping this wine on the fresh and refreshing side. Just a super wine, with honey slathered, white peaches, pineapple, apricot and mango, with vanilla custard caramel and floral notes that are impossible to avoid. Fresh, vibrant, sweet and luscious, with a melange of apricot, pineapple and honey in the finish. This should age and develop for at last anppther 20 years with little effort. Medium bodied, with a focus on juicy, fresh, sweet, candied, tropical fruits and orange rind, with a blast of honeyed apricots. There is lift, sweetness and freshness, all in the right proportions. Perfect on a hot summer night with cheese, instead of dessert, this medium bodied, forward, sweet, unctuous wine delivers a lot of fresh, honeyed pineapple, apricot, vanilla, orange rind and white peach on the nose. The fruit maintains a balance of sweetness and freshness, ending with honeyed pineapple and candied citrus rind. With a showy nose of orange blossoms, apricots, pineapple and honey, the wine is fresh, medium bodied and ends with lush wave of honey coated, tropical fruit and citrus. Light, pleasant, fresh and easy to drink, this could work equally well as an aperitief or as a meal accompaniment. But it lacks the depth to satisfy as a dessert wine. The nose was all about the honey coated orange, apricot, pineapple and candied lemon peel perfume. Smooth, sweet and easy on the palate, the fruit in the endnotes had peppy acidity and a melange of honeyed orange, tropical fruit and apricot flavors, even if it was a bit on the lighter side. This is drying out and losing its fruit. Medium bodied, with only moderate levels of sweetness remaining in the citrus and tropical flavored finish. Drink up before it continues to decline.